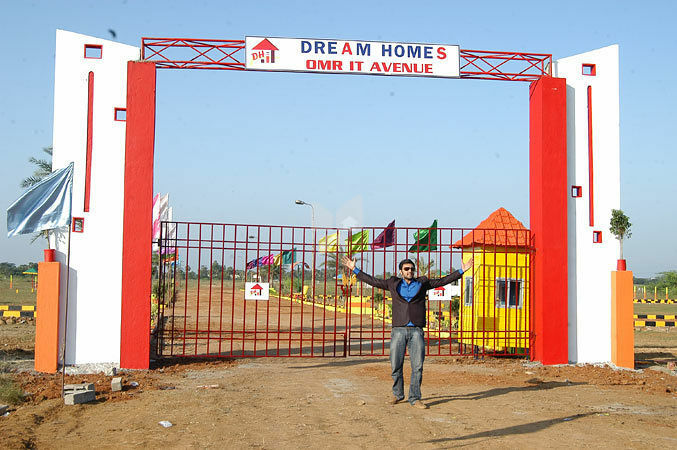 How Far is Dream OMR IT Avenue? OMR IT Avenue is one of the residential developments of Dream Homes Property Developers in Chennai. It offers plots at affordable rates at a convenient location. Located at Melakkottaiyur, OMR IT AVENUE will blow your mind away. They say that first impressions are the best. Come to Lake View Gardens and we will prove you wrong. This is true love! Just like true love grows with every passing day, your love for this place will know no bounds. All in portion larger than life. DREAM HOMES present you an ‘OMR IT AVENUE ’, an ideal plots for your Dream House. A clear titled, well fenced, Government approved residential plots surrounded by lush green environment. Black top approach roads 30’ wide, with imported designer metallic street lights. Only 57nos of plots as a fenced & gated community with twin park for common use. And there is a space for shops also. Entire boundary high fenced.